Team Army was all aboard dispite cooler temperatures. 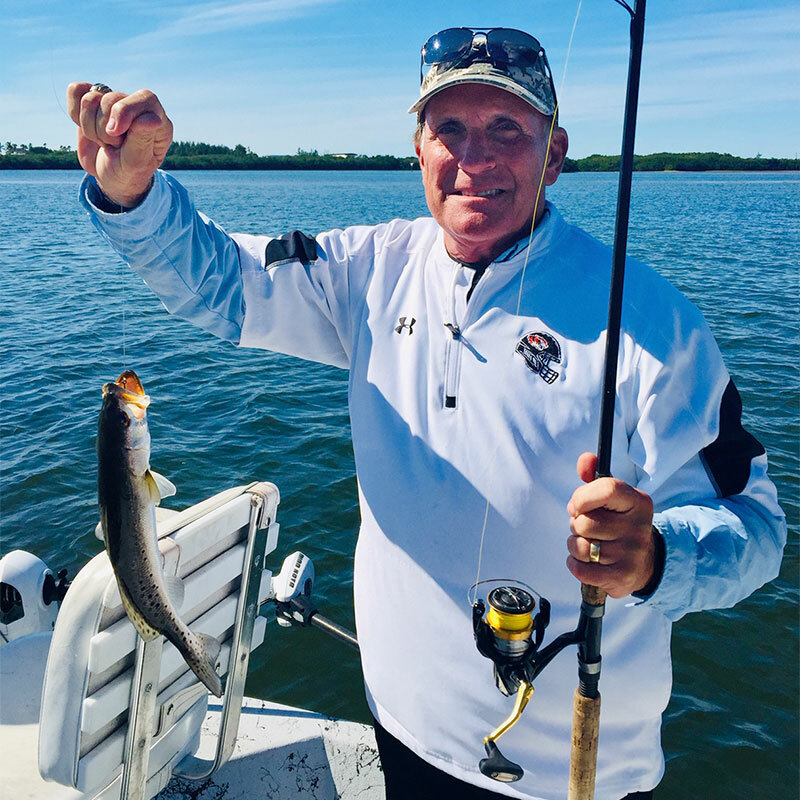 Team Army was on board this past week as a former Army football Coach and some ex-players wanted to brave the elements no matter what the temps. I was more than happy to oblige. It was a crisp 55 degrees with 52-degree water temps as we headed out in the morning with two cases of antifreeze on board. 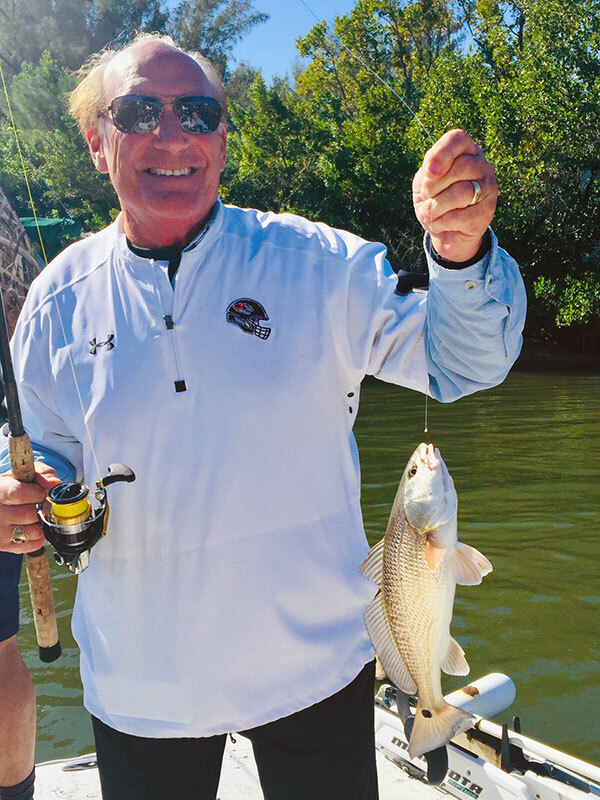 There were plenty of mangrove snapper, a trout, some snook, redfish, and we had a miracle inshore Boat Slam. So if your itching to get out during this cold weather spell, roll the dice and maybe a day like this will happen for you. One thing for sure it'll never happen inside a condo. 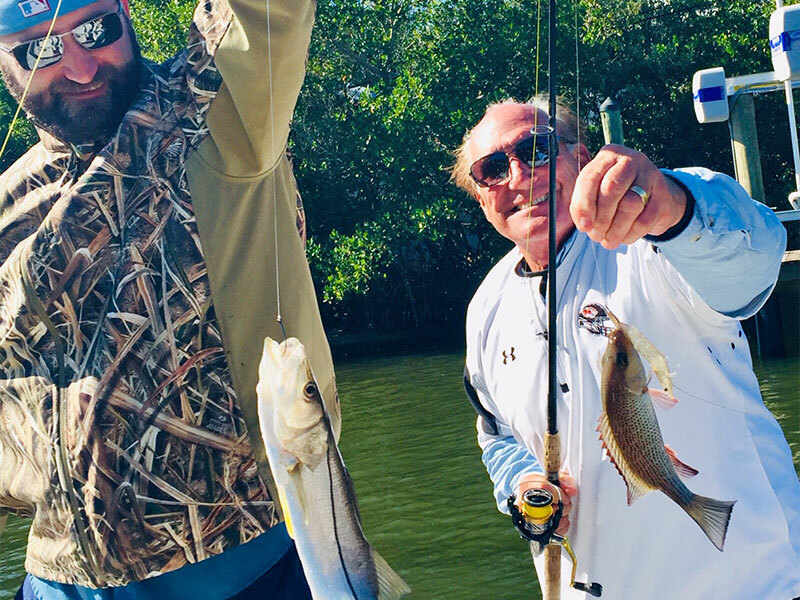 Call CB's Saltwater Outfitters and book that fishing charter today.